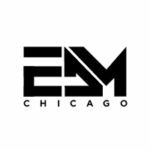 What’s up guys, thanks for taking the time to talk with us here at EDMChicago. I’ve gotta say, I’ve been a fan ever since I heard “Back To Earth.” But enough about me, how are you guys doing? All good thanks, we really appreciate you taking the time to speak to us as well!! We are big fans of Chicago, its such a cool place and would love to come back again soon! It looks like you just finished up your India Tour, how was that? India was incredible as always! The crowds were amazing, the shows were a lot of fun and we got to play a lot of new music. It was also great to catch up with some old friends, made some new ones and ate some incredible food, especially in Indore at Jiggy’s restaurant O2. I’m sure you were playing out your new track “Running Wild” with Yves V, how did that collaboration come about? We’ve known Yves for a while now and hes a great guy to work with! We had so much fun in making Running Wild and the process took about 2 years! We road tested many ideas before settling on this one and Yves was the one to find PollyAnna who delivered an absolutely incredible vocal! It blew us all away! When working with other artists how do you guys start off projects? The 2 most popular ways are they will either send us an idea and we’ll make a start or vice versa and we’ll have a rough project with some chords etc or a cool breakdown and will offer it out. So, rumors have been flying around about your new imprint “CMMD” what does “CMMD” stand for? And what can we expect from the label? CMMD is short for Command haha. What you can expect from the label is loads of fresh new material from ourselves and from our friends. We want to release more and this is the perfect way to give us much content to our fans as possible. Would upcoming producers be able to submit to “CMMD?” 100% we are going to release a competition later on in the year to win a collab with us and a release on CMMD. Its going to be great to give the winning producer a help in getting started in this industry as its so tough and chances are hard to come by. Are you going to be changing up your musical style? We’re going to be releasing a couple more vocal tracks this year for sure as Running Wild has been so successful! Apart from that expect a lot more main room and festival weapons! Any other exciting news as far as touring or music is concerned? We have a lot of releases out this summer including 2 on Smash The House, 1 on Maxximize and the launch of CMMD. We’re also going to be appearing in Ibiza this summer at Eden as well as various dates across Asia in August and September. Some great news out of their camp and we can’t wait to see what unfolds with “CMMD.” Here’s The Futuristic Polar Bears latest track with Yves V featuring PollyAnna.